"You're About to Discover a Revolutionary Approach Using A	Proven Brain-Based and Wellness Method Working with Challenging Children and Adolescents"
Are you feeling lost and overwhelmed with angry and defiant children? Do you feel inadequate as a clinician, educator or human service professional with the children you love and care about? Have you lost your passion and motivation in your work with challenging children and adolescents? Are you tired of traditional theories and techniques that seldom impact the emotional and biological complexities found in the body and mind of a child? Do you have the courage to try compelling new research and new-age approaches in the healing of young people? Course Director: John Micsak, the 2009 Consultant of the Year (National Institute for Trauma and Loss in Children) Featured in “PSYCHOLOGY TODAY". If you’re feeling that your value is marginalized and understated because of routine traditional approaches that fail to win the hearts and spirits of children, then please tune into this life changing event. Over the past 15 years I have concentrated my efforts synthesizing revolutionary approaches from the new pioneers in the field. I consider myself a trainer and a front-liner first. I have experienced profound and compelling changes both in my professional life and in my own personal life by applying the strategies I have learned over the years and I am now providing this to others in a one day experience. Healing the Inside Child is a revolutionary approach that emphasizes bottom (lower brain regions) to top (higher brain regions) intervention protocol. 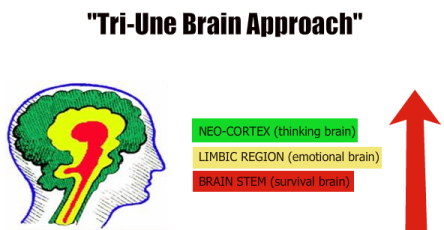 Historically we have failed stressed and traumatized children by focusing too much on the thinking brain and ignoring the vast horizon of the subconscious brain which includes the limbic system, survival brain and central nervous system of a child. My program focuses on navigating through brain regions sequentially from bottom regions first; such as the survival brain in creating healing pathways. Kids can not become logical, learn or do problem solving effectively until the body and mind systems become more balanced through restorative relationships and appropriate sensory experiences. "I've Never Been to a Training Like This Before..."
"John Micsak has outstanding hands on experience with the most troubled youth. He provides one example after another. I took 15 pages of notes and strategies. I've never been to a training like this before; the workshop itself was a sensory experience." "A training that can truly make a difference in the healing of our communities..."
"WOW! This is a training that can truly make a difference in the healing of our communities. "Healing the Inside Child" is much more than ground breaking information – it's an experience that will change the way you look at yourself and others. Thank you John!" What professionals must know before trying on any techniques and strategies for behavioral change. Revolutionary breakthroughs in neurophysiology (body/ mind) and resiliency research in working with challenging youth populations. The latest trauma informed strategies and interventions with video reviews and case study application. Building healthy brain structure and brain chemistry (without medication). How to provide extraordinary care-giving through conscious relationship building. How to set up healing environments for your home, residential program or school. Additional Bonus! Care for the Caregivers: Participants will develop their own healthy brain program! "Startling New Developments in the Area of Childhood Trauma..."
"John Micsak's workshop was recently rated as the top presentation at the (MEAAY) Michigan Educational Association for Adjudicated Youth conference in Lansing, John provides startling new developments in the area of childhood trauma, neurophysiological (body-mind) research, positive youth psychology and resiliency work with at risk children and adolescents." "With short powerful bursts of information coupled with hard-hitting videos, Micsak transmits a powerful message that any adult working with a child needs to hear. " "John Micsak recently presented in London Ontario at a local trauma conference sponsored by the National Institute for Trauma and Loss in Children. We call our group TLC London and were very excited to welcome John to our mid-sized Canadian city. John was a dynamic and riveting speaker and presented on Healing the Inside Child: Brain Based and Wellness Approaches with challenging children and Adolescents. As a principal and a school social worker as well as both being trauma and loss consultant specialists, our number one dilemma is consulting with teachers who report " I cannot do ANYTHING with the child" or "nothing works" and often we are faced with a teacher who wants to like the child but is finding the behaviour nothing short of impossible. Parents also frequently turn to schools to find the answers to a child who seems to have lost the motivation to succeed or to seek help with parenting a child who seems unable to listen or follow a simple behaviour plan. John Micsak reminds us that trauma changes us at a cellular level. Regulation is the key to any successful plan for success whether it is in the home or the school or community setting. With short powerful bursts of information coupled with hard-hitting videos, Micsak transmits a powerful message that any adult working with a child needs to hear. Micsak prompts us to seek answers in the brain-body-mind paradigm and capture the healing that is transferred in safe, predictable and nurturing responses. Micsak challenges to think in a new way about time out and instead offer a reparative and healing time in or time away program. He brings new meaning to offering a child "a safe place and a safe face". Teaching parents about the value of knowing when the most powerful moments of the day are for a soothing healing intervention is only one of the many strategies Micsak teaches in a training day. I have used a variation of Micsak's 'wellness cards' with children, teaching them the value of identifying understanding their triggers to trauma and stress and helping them build their own action plan as well as being able to ask for support and help from the caring adults around them. Micsak's message is not only passionate about 'what to do' to reach a child with "danger brain" but he also expertly guides the participant to resolve what participants should not do! Micsak's program is relationship-based and he himself provides a warm intuitive approach that allows participants to believe in the strength of every single positive human interaction. We were enriched by his contribution to our local program and are excited about future presentations in his program." "This is one of the best trainings I have ever attended... "
"This is one of the best trainings I have ever attended because the information was research based, evidence based and current Not only was it fun, but it was enlightening, refreshing and reassuring. Additionally, the information was presented form heart to heart. We felt it in our souls!" Brain wellness programs for the adults! "One of the most dynamic and motivational speakers to use neurobiological research... "
Also 5.5 CEU's Pending Please call. Participants will develop their own healthy brain program! The Healing the Inside Child System is specifically designed for the most creative, intuitive and compassionate souls! My affiliates and the feedback of past students surrounding my long history of clinical training have me convinced that I have underestimated the need for this. Register for my one day seminar below and I will personally teach you my proven system so that you can catapult your career and value as a life changing expert in the plight of our most challenging children and adolescents. **Cancellations: Requests for cancellation must be submitted in writing via email, mail or fax. If your cancellation request is received on or before April 1st. 2012 you will receive your tuition back in full. Due to our sell-out track record, there will be no cancellations accepted allowing refund as of April 2nd,, 2012. In case of inclimate weather, vouchers will be distributed (no refunds) to attend any days missed.